In the barbeque joints and plate lunch cafes off Memphis's Front Street, one is easily reminded of the days when cotton was king, of a society of characters and cads; the big time and the small time; the rich and the richer; the hangers-on, anointed, powerful, and busted. Cotton created empires in agriculture, transportation, banking, and warehousing. It also shackled the dreams and lives of those born into slavery and sharecropping. Although many of the day-to-day dealings have moved to manicured office parks and high-rise buildings, cotton's influence still remains at the core of the Southern economy and Southern society. Cotton propelled technological advances that have changed the face and soul of the South. It was the wellspring that gave birth to modern music. Cotton triggered the migrations of millions of blacks and poor whites, shaping the culture of Northern cities. Its allure has called out to writers, artists, and photographers from around the world, attracted by the tragedy, irony, and power of cotton's story. In this book of vivid images and intriguing text, Memphis historian and author William Bearden presents the captivating history of cotton's profound influence on American society. 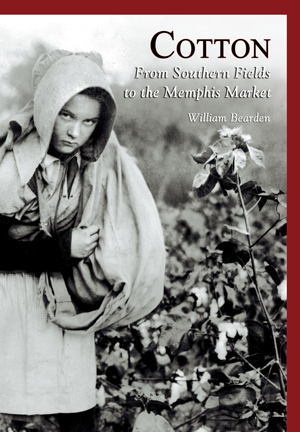 In this book of vivid images and intriguing text, Memphis historian and author William Bearden presents the captivating history of cotton's profound influence on American society.